It has been a while since we’ve seen any industrial unrest at British Airways, so the more cynical amongst you will be thinking that we must be due a strike threat soon. And here we are. The three main trade unions representing British Airways staff – BALPA, Unite and GMB – have come together to submit a joint pay claim for 2019-21. This covers all employees, not just cabin crew. The immediate demand is for a rise of 5% from 1st January (or 1.75% above RPI if higher – RPI is currently 3.3%). This is to be followed by a rise of RPI + 1.5% from 1st January 2020 and RPI + 1.25% from 1st January 2021. In addition, unions want 7% of annual operating profit to be ringfenced for staff bonuses. Whilst this may sound aggressive, base pay for a new Mixed Fleet cabin crew member is currently, I believe, £13,079. Allowances bring this up to what unions claim is an average of around £16,000. BA claims the average is higher at around £21,000, with the difference apparently based on ‘typical’ versus ‘actual’ rostering patterns and fleet-wide bonus payments which the individual cannot control. Traditionally, around this time of year, the trade unions submit their separate pay claims for their areas. 2019 will be different. The trade unions want to ensure that their members get a share in the success of our employer. Therefore, the trade unions have submitted a joint claim. One claim on behalf of everyone. the introduction of a sharesave scheme. The BA Q3 operating profit margin of 20.1% (adjusted to take into account exceptional items), far exceeded that achieved by many rival companies, most notably United, Delta, and Norwegian. Based on the key measure used by investors, return on invested capital, BA delivered another excellent result with a ROIC of 16.7%. BA staff have, for decades, made many sacrifices along the road to where BA is now. Most notably, accepting changed contracts and concessions to contracts old and new, and taking pay cuts to help the company in the face of challenges in the past. Only this year, BA staff who were members of NAPS reluctantly agreed that its costs were unsustainable and that it needed to close to future accrual. BA’s trade unions have displayed leadership and restraint, always recognising and understanding the need for our employer to deliver strong financial results to enable it to flourish and grow the business. We firmly believe BA can afford real pay awards materially above inflation. The joint unions are therefore seeking to agree the following increases: RPI+1.75% (or 5% if higher) from 1-Jan-19; RPI+1.5% from 1-Jan-20 and RPI+1.25% from 1-Jan-21. 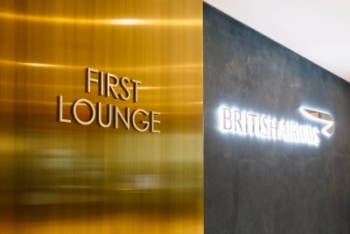 We also believe BA is able to give staff a much larger share in the success of the business, aligning the interests of the company, its shareholders and staff. To achieve this aim, the joint unions are seeking to agree (i) an enhanced, all-employee profit-sharing scheme based on a pot equivalent to 7% of BA’s annual operating profit per year and (ii) the introduction of a voluntary sharesave scheme. To deliver the best experience to our customers, we believe BA need their staff engaged. An airline without its pilots is not an airline. BA has failed to match best practice in recent years by making all-employee awards that in no way match the success of the company itself. This cannot be justified and leads to a fundamental disconnect between the company and its pilots. In our own benchmarking, we know that KLM and Lufthansa both ensure that pilot contracts reflect the success of the company through generous bonus schemes. Additionally, we know that other airlines continue to offer share schemes. More progressive companies realise such schemes are popular with staff and invaluable in terms of getting staff to identify with the performance of the company. For reps, basic business is getting harder to progress within BA. We believe there are cultural issues in the BA/IAG leadership structure which are not in the long-term interests of our airline. There is so much pressure on resourcing and cost focus now that it is has become increasingly difficult to resolve straightforward, day-to-day matters (for example, dependency leave). This misguided approach is not likely to help BA resolve much bigger issues such as company-wide pay negotiations. A focus on cost-cutting alone, with little or no emphasis on value for money, means increased fatigue, little in the way of staff development, less retention and decreasing job satisfaction. Job satisfaction and the prestige of working for British Airways is at a low, evident through widespread disengagement. Our recent pay survey showed one consistent response, highlighting that the small bonus did not engender any feeling of value or worth and was generally regarded as “insulting”. The BACC wants to address these matters. This won’t happen overnight, but BA engaging meaningfully with us during this pay claim will be an essential step for pilots and the company. A collaborative approach is still the BACC’s goal. As we enter another hectic year and ambitious network plan we hope that British Airways and the leadership team recognise this, despite our concerns. We hope managers can facilitate pay negotiations which allow our reward to be aligned with the success of this company. The CC and the other unions believe these changes are entirely affordable and justified. Finally, reps and members need to work together. We appreciate your patience and recognition that there are times when things will appear too quiet. In recent years negotiations have been plagued by rumours and members working against each other, not with each other. The new CC commits being open and honest with our members at every possible opportunity. In return, we ask that you do not accept rumour as fact. Do not fall into the negativity that can be online social platforms. Instead, come and meet us. Support us. Please email us to bust myths so that we can help you to help each other. The next joint union meeting with the company will take place in December. If true that senior managers are awarding themselves an increase of 60% to their package, then this claim is not unreasonable, also given the record profits now being enjoyed by the IAG, the majority of which has come from BA. Good luck to them, especially the mixed-fleet crew who start on salaries half the national average (put a value on saving 200+ lives from a burning fuselage in 90 seconds; see the incident at LAS recently). Just to be clear, this isn’t just Cabin Crew, it’s everyone. Pilots, Canin Crew, Engineers, ground staff, call centre staff, unionised Waterside Staff also. It’s the first time that all BA staff have submitted a joint pay demand. If the demands aren’t met, then I can see the entire airline going out over this as everyone is so exasperated at the way the airline has been run since AC arrived. Rob, any more news on the Virgin Pilots possible strike over Xmas? Another link here, given the decision to poll pilots took place > 2 weeks ago,, it sounds like the results of the ballot could be out this coming week? The strength of negative feeling that unions and industrial action always creates amazes me and is without justification. It is driven by a post-Thatcherite ideology that champions personal greed (no, not aspiration) at the expense of the common good. It should be self-evident to every employee that were it not for the trade union movement salaries, rights, and benefits of employees would all be substantially less than what they are now, and let’s face it, most of us are employees. However, I have some sympathy with the view that some Union leaderships from time to time hijack their membership to push their own idealogicall agenda but this should not detrract from the value of, and the need for, the trade union movement. Trade unions provide part of the checks and balances that are needed to keep a society in a more stable, even keel, limiting drifts to the political margins and lifestyle inequalities. Even though my own political views are in many respects decidedly right of centre I believe that at this time there is a need for substantial readjustment in society that the Union movement has a role to play in providing. Too many people, including BA mixed fleet crew, are stuck in poorly paid jobs with limited choices and it should be obvious to anybody who opens their eyes that marginalisation in society is a real problem. I believe this can only be addressed by a substantial shift in future growth in wealth from middle earners to low-earning working people. It is totally nonsense to suggest that if people are not happy with their jobs they can simply find another, for most people in most regions of the UK most of ghe time, they simply do not have this choice and opportunity for a whole host of reasons, many of thrm beyond their control. Without trade unions we woold still be living in a Dickensian society, without them, we might be headed back in that direction. Nicely put. Absolutely nailed it. The balance between those that have and those have not continues to grow. Anything that helps address that is a good thing. Without trade unions we woold still be living in a Dickensian society, without them, we might be headed back in that direction. So, do you mean the ‘negative feeling’ that eventually might result in improved working conditions, is justified, or not?! Sounds like an argument from John Rawls, well asserted. The poor are getting poorer, and the rich, richer. As your salary increases, you move into more punitive tax bands. The argument is always ‘the broadest shoulders can take the greatest strain’. The top 50% of earners pay around 90% of the income tax, the bottom half pay just 10%. And, according to fullfact.org, the top 1% pay 28% of the income tax. So, as the ‘rich get richer’, there should be a greater tax-take for the government to squander. Some of this could be used to introduce a lower tax band of say, 10%, which would proportionately benefit those on lower incomes. Who said they don’t like their job? Amen BJ! I used to work as a manager/employer (in charge of signing off my employees’ hours) and it always astonished me how other managers (senior and junior, young and old) were happy to swindle employees out of any hours/overtime they had actually worked, while I categorically objected to that. And they were laughing at my attitude because I was standing up for the employees when it came to them fighting for their rights through striking etc. Thather unleashed the monster of neoliberalism and it feels that all ethics have gone out of the window. > base pay for a new Mixed Fleet cabin crew member is currently, I believe, £13,079. That works out at minimum wage (for over 25 years old) for a 35 hour week for just under 48 weeks a year, for people whose job is supposed to be safety critical. So just pay them that as basic salary. Apart from anything else, there can then be no disagreement as to what the earning actually are. Plus they got a big £2-3K increase with the 2017 settlement. No mention of whats happening in BA Engineering…..it gonna be a turbulent flight for BA in 2019. Shoestring…..sounds like a pretty good job to me, if I were a few years younger. Yep – a young person’s dream, which is presumably their idea of the ideal recruit. Whilst I agree with the legislation that says you can’t retire somebody on age grounds, I don’t think you can be that effective as ‘fodder/ dogsbody’ cabin crew once you get past a certain age. Whereas the head honcho cabin crew member *does* need to be a bit more experienced. Interns could learn the cabin crew job in a day just by doing it. Most of it *is* serving M&S food and knowing how to do the Exit tutorial. Don’t tell me that cabin crew will be that useful in the case of an emergency evacuation – it’ll be every man for himself in the worst cases and some pleasant cabin crew in the way will get mown down, same as always happens. I can’t believe that you think that’s all there is to the position of cabin crew. If you do you’re very much mistaken. Why would the training course last 6 weeks if that were the case? You’re being more than a little disingenuous. Why not put this in the basic salary? And surely this could be in the basis salary too? I never buy from this anyway, but surely people in a safety-critical role should not be thinking about commission payments? Cabin crew are NOT salespeople. Again, bonuses are surely not appropriate for people in this sort of role. TBH, the modern bonus culture stinks, IMHO. >> for people whose job is supposed to be safety critical. Who really thinks this applies to cabin crew? To at least five nines, it’s a bog-standard customer service job. If a bus driver falls asleep, it matters. If a pilot falls asleep, it matters. If cabin crew fall asleep, what happens? The service gets very slow? Oh, hang on, that happens already! Hourly Rate constatly from time of check in to back to London – £3.14 a hour. I’d guess it’s that £3.14 is less than the minimum wage? @TripRep – the £3.14/ hr is *in addition* to the base salary, ie it’s sort of inconvenience money for being in the air. So minimum wage doesn’t come into it. My problem withthis is that the unions have deliberately excluded nearly everyone who works at head office, which is a lot of the people whose sympathy they will need to really make it work (and most of whom are equally underpaid). Surely if they did care about it being ‘one combined request’ they would have made it properly inclusive? This is a really poor article and headline. Nah, it’s not 🙂 The headline is 75% less sensationalist than it could have been and the text is very fair, given the number of BA strikes that I have experienced over my lifetime – and there is a fair chance that I’ve been flying BA since before you were born, if you are Mixed Fleet. BA is going to kick this claim out as soon as it is formally made and then the first bit of strike-threatening sabre-rattling will start. ‘Twas ever thus. The BA stuff have taken it in the back pocket for a long time. The airline is very profitable – time for the situation to be levelled up. Steve, your opinion lacks any supporting evidence. Please share it. If you look at the Investor Day presentation, that game is over. BA is now categorised as a premium airline and in theory runs that way, with Aer Lingus, LEVEL, Vueling etc picking off the price concious. The A350 fleet, pretty light on economy seats, is a sign of this. For that to happen, though, a lot has to change. The A350 is ‘pretty light’ on economy seats? Is this the same A350 that’s being delivered without F and is earmarked for the ‘high-density demand’ routes…? Yes, that one. Dig out the slides. I’ve done 4 trips to the East Coast in economy in the past 12 months. BA was the worst in respect of cleanliness, comfort, entertainment & food. Will they ever get rid of the tiny 4×3 screens in economy with the visible pattern? Virgin was better than BA, but only by the tiniest margin. Leaving them all behind was Delta. Comfortable seat, good leg room, (relatively) huge screen, responsive entertainment system, and the best economy food and drink service I’ve had in years. OT (sorry) : Currently enjoying the delights of the Madrid T4S Velasquez Lounge courtesy of Avios from the crazy Iberia promotion, which allowed me to treat my brother and his wife (and myself) to a short break to Spain in Iberia / BA long-haul Business Class style. At LHR T5 we visited the Galleries North lounge and walked the tunnel to T5C (no time to visit the T5B lounge – sore subject!). We very much enjoyed the flatbed seat experience on the Iberia A340-600 and in contrast to what some others have experienced the cabin crew were extremely friendly. In Spain we visited Toledo and Segovia, both of which we highly recommend. We will soon be returning to London on the BA 777 so it will be interesting to compare it to the Iberia flight. Sorry for the long ramble but all of this was inspired by and made possible by the articles and comments of Rob and the contributors to HFP, to whom I would like to say THANK YOU! We have also just bought Priority Passes using the Black Friday discount so in future I’ll be able to enjoy everyone’s PP discussions! I didn’t know that passengers can walk from T5 to T5c? Is that something new? I would assume this is different from the tunnel the train uses? Nothing new, they’ve been open since the beginning. Take the lift to -4. There is a foot tunnel one level lower than the train. It is marked on the lift buttons if you take the lift and not the escalator to trains. The tunnel is great. I always use it in Terminal 5. Particularly good when arriivng from Riyadh at 0530 – quiet area to stretch your legs. As ever when airline industrial action is talked about the two types of comments pop up. 1. The idiots who think being cabin crew is what you see from the passenger seat. Doooh! 2. The admin/ management staff who love to comment on the pay of the crew with a shocking amount of envy to sauce it up. Oh yes they were the people who commented on the wall a few years ago! Those appallingly unprofessional comments still are not forgotten and never will be!! “…and never will be! !” – I can just picture Greta quoting Sir Cameron Bridie at Air Scotia boot camp.